As the astute Boogaloo Bag reader may note, two weeks ago, Phast Phreddie the Boogaloo Omnibus DJ’d at Union Pool. 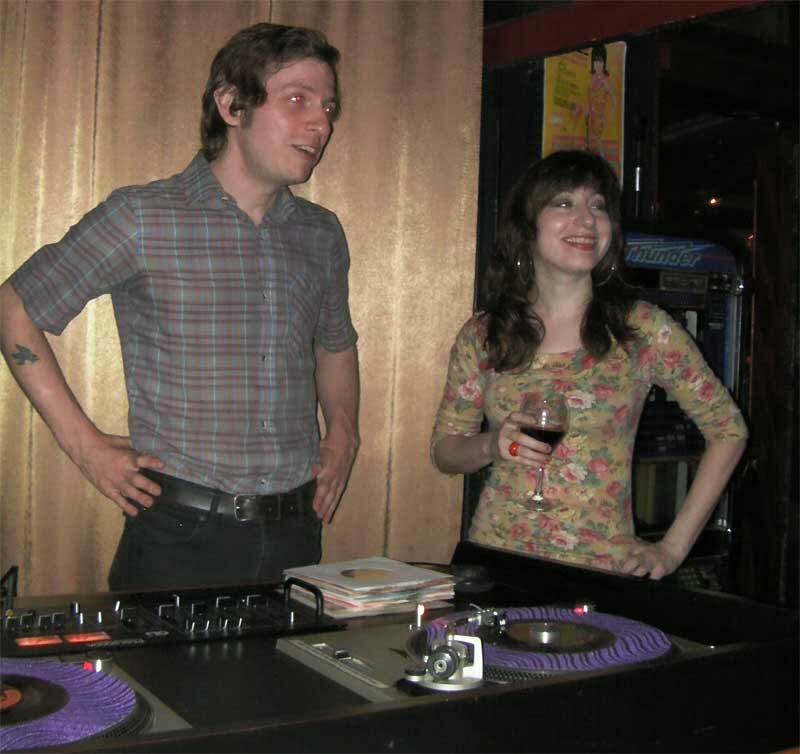 His co-DJ that night was Avi Spivak. Not only is Mr. Spivak a swingin’ DJ, but he is a very hip artist specializing in mind-blowing, cartoon-like images. 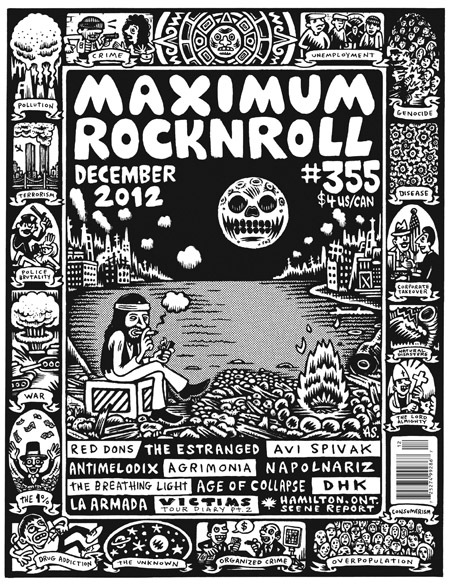 He has his own art gallery shows in Brooklyn, makes covers for magazines, illustrates album covers, draws flyers for big rock shows, and edits his own rock/cartoon fanzine called Human Being Lawnmower. Perhaps his finest shining moment is the drawings he did for Kicksville Confidential, the story of Norton Records as told through cartoons. In fact, Mr. Spivak is so busy with his artwork that there is most likely several things he’s done that have gone unnoticed by the Boogaloo Bag writers. This just in: Mr. Spivak, along with our pals Josh Styles and Sophie Thunder, is currently working to open Rebel Rouser*, a spectacular new retail environment that will sell records, comic books and various select specialty items. Guest DJ Avi Spivak consults with fellow DJ Leah Lugosi at the DYNAGROOVE! It was no cartoon show at the DYNAGROOVE on Friday the 13th, when Avi Spivak was guest DJ for host The Boogaloo Omnibus. Teddy’s Bar & Grill swung mightily during Mr. Spivak’s groovy sixty-minute set, during which The Boog enjoyed a catfish dinner, cooked to perfection by the mighty, mighty Teddy’s kitchen staff. Now that it’s summer, Teddy’s also features some of the best lemonade a person can drink. Some of the finest (and most reasonably priced!) dining in Williamsburg can be found at Teddy’s. * – Rebel Rouser will be located at 867 Broadway, between Locust and Belvidere Streets in Bushwick, Brooklyn. The official grand opening will be on Sunday June 29 at 2pm. Norton Triple Header Boogaloo Action!